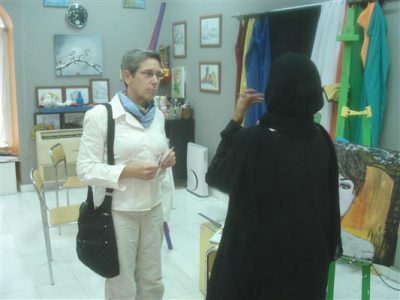 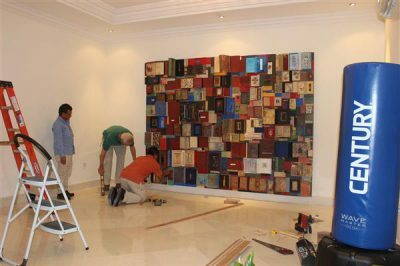 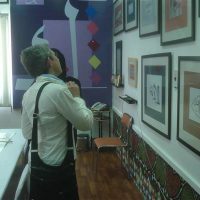 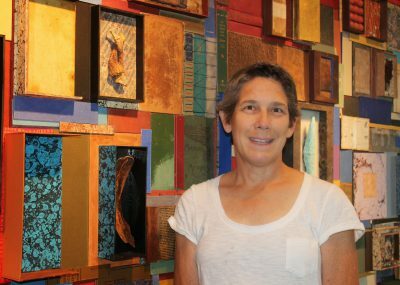 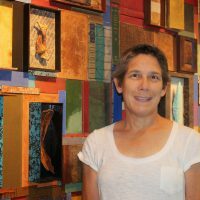 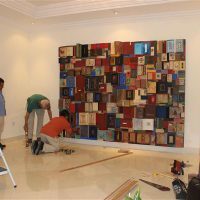 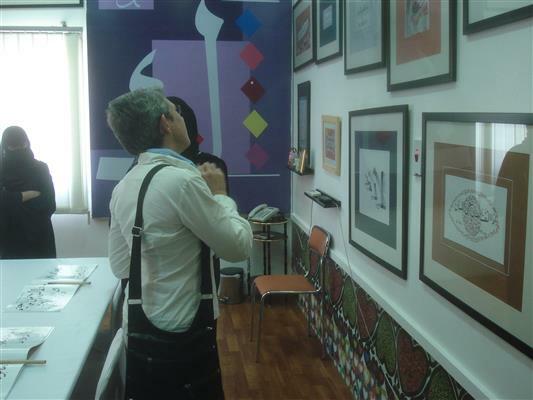 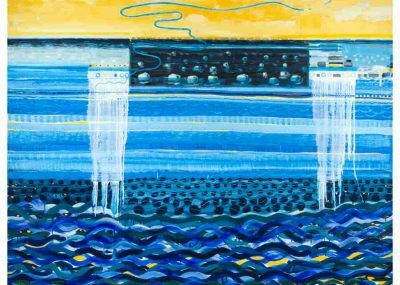 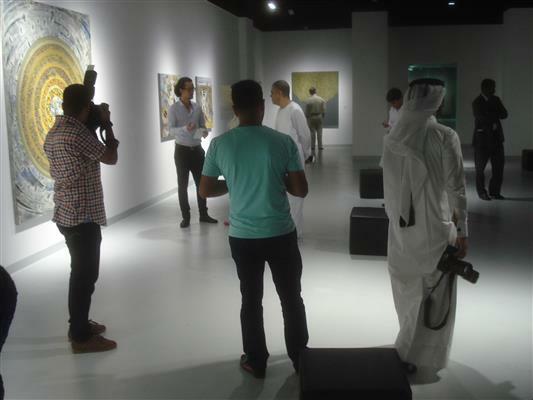 Artist Abbie Read traveled to Qatar in October of 2014 to conduct cultural programming related to the 2014 Art in Embassies exhibition at the Chief of Mission Residence in Doha, which included her artwork, Library. 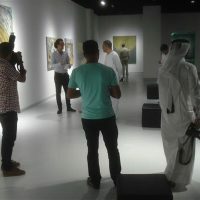 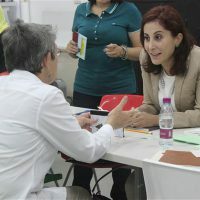 In addition to the book binding workshops at the Girls Creativity Center, and the Katara Cultural Village Art Center, a few slide presentations and studio visits, the artist had the chance to visit the Richard Serra installation in the desert, as well as the Museum of Islamic Art, both of which were, in her eyes, stunning, essential components of a visit to Qatar. 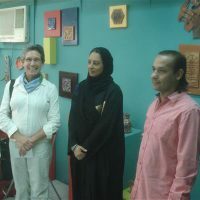 Abbie Read met with artist Maowia who introduced her to artist Mohammed Al Atiq, who is also the General Manager of Regency Art, a group that promotes and organizes international symposia on art. 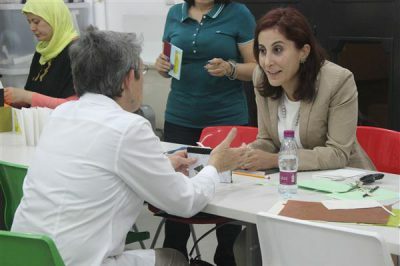 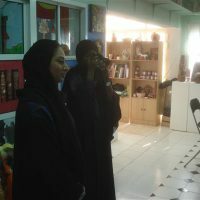 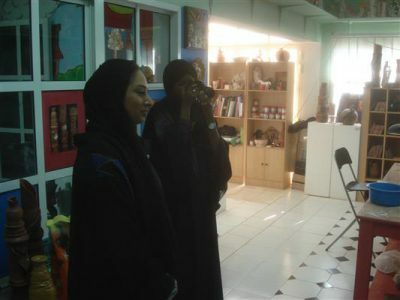 She also spent some time with the artist who organized the workshops at Katara Cultural Village Art Center, Ghanim Jassim Al-Ghanim and the Director of the Girls Creativity Center, Huda Abdulla Al Saadi. 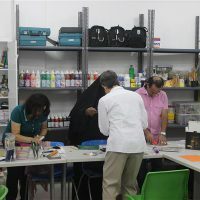 The workshops were at these two locations were very successful and will be repeated in the weeks following the artist’s visit .